Fuji’s new top of the line bridge camera. My latest requisition. Is it a good as I had hoped? In short yes. 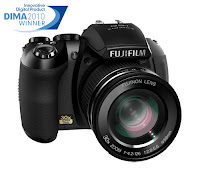 I wanted a camera that looked and performed as close to a DSLR ( digital single lens reflex ) camera as money could buy given that the ceiling for the budget was $1000.00 NZ. I wanted as much flexibility as I could get to allow a large range of choices to be used for a varied list of subjects. In this I got pretty much what I wanted. In the main it has everything I would want to find in a good DSLR but at a cheaper price point. As with all things (Tech)there is a trade off. The major one being that to accommodate such a large zoom range it has necessitated a much smaller sensor than one would find in DSLR. If one was to read through the Fuji Film Talk forums at DPReview.com there are a lot of happy users about. However the more steadfast DSLR owners on the forums will soon be pointing out all this cameras short comings. After reading a goodly amount of reviews and reading through the forums it became apparent that despite this cameras perceived short comings, it is capable of some very good photography if one is willing to take some time and learn to use it properly. I have to say at this point I am still very much learning. More to come later…..